It looks like Julie Andrews won’t be lending a spoonful of sugar to Mary Poppins Returns when it’s released in a few weeks. EW has reported that Miss Andrews will not have a cameo in the film, as many fans have wished; the director has said she wants to allow Emily Blunt to embrace the role as her own and enjoy full media attention as the character. I have to admit, while I would have loved to see Miss Andrews onscreen again (she has not appeared in a live-action film since 2010’s ill-advised Dwayne Johnson vehicle Tooth Fairy), I understand why she’s chosen not to participate. Like a lot of people, she’s looking forward to Blunt’s performance and is glad the character has a new proprietor, so her appearing might be a bit distracting, in much the same way Sean Connery’s cameo in Skyfall would have been. Iconic roles are often recast, and the new performers deserve to flourish in them. It’s not all bad news for Julie Andrews fans, however, as Aquaman producer Peter Safran has announced that she has a vocal cameo, playing a character called Karathen, a pivotal role in the upcoming DC superhero film. I can think of no one better to help Arthur Curry on his journey, so this news has only raised my excitement level for this film. While this isn’t the role for which most fans were hoping from the legendary actress this holiday season, it’s good to know we’ll be able to catch Miss Andrews in theaters when Aquaman debuts December 21st. 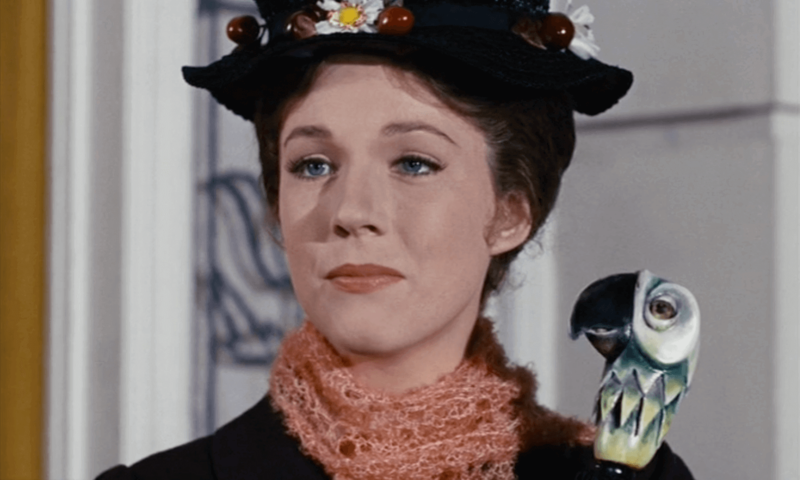 Are you sad the original Mary Poppins will not be appearing in the new film? Does the role of Karathen alleviate any of your disappointment? Let us know in the comments! Drago Spinoff May Be in the Offing With Steven Caple Jr.